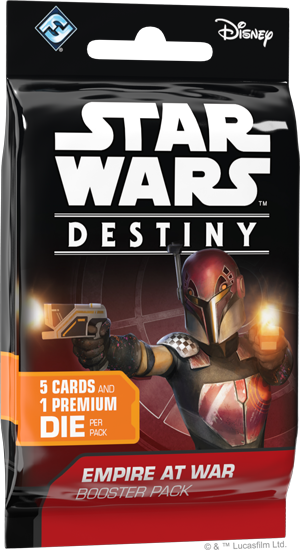 Empire at War offers a wide variety of opportunities for deck building in Star Wars™: Destiny. New characters open up new strategies previously unseen in the game. 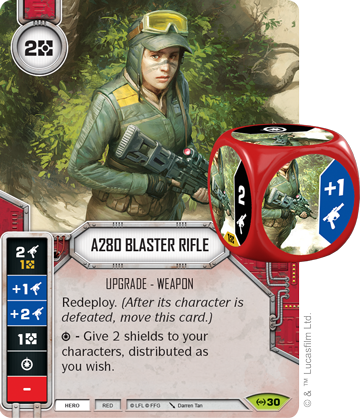 Today, Star Wars: Destiny designer Jeremy Zwirn is going to take us through one of these new strategies as he builds a deck focusing on Red hero Hera Syndulla (Empire at War, 25)! FFG: Let’s start with the basic idea of the deck. The challenge was to build a mono-Red Hera Syndulla deck. So who did you pair her up with, why does that make sense? 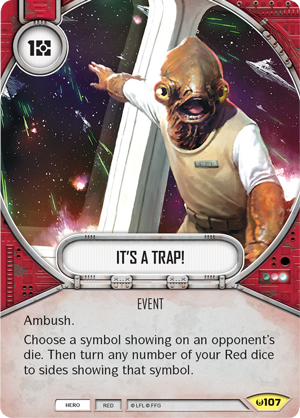 Jeremy Zwirn: I chose Admiral Ackbar (Awakenings, 27) and Rebel Trooper (Awakenings, 30) to team up with elite Hera for a full thirty points and a respectable twenty-six health. Hera is the centerpiece of this deck and finding ways to protect her is crucial to defeating your opponent. 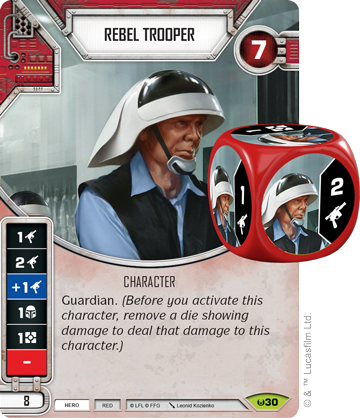 Rebel Trooper has the powerful "Guardian" keyword, which will take some pressure off of Hera and can make it more difficult for your opponent to resolve their modifier dice showing damage. 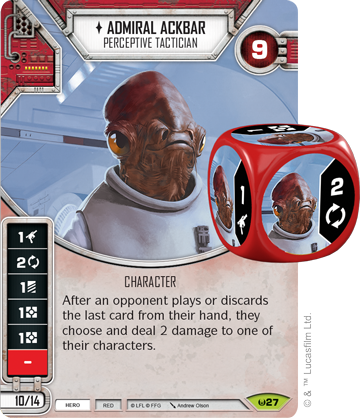 Ackbar’s main purpose is to turn my dice to the sides I need with his two focus and to generate resources to help pay for the vehicles. 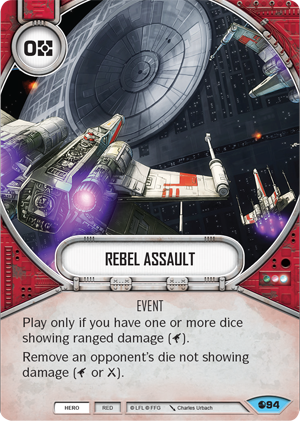 All three characters have at least one ranged damage side on their dice which gives the deck more consistency in playing Rebel Assault (Spirit of Rebellion, 94) and a potentially game-winning It's a Trap! (Awakenings, 107). 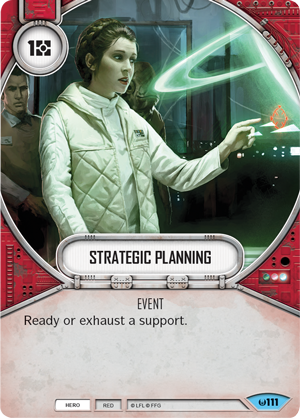 FFG: What was the process for deciding what went into the deck? JZ: In order to get the most out of Hera, you need to have a fleet of vehicles for her to pilot. 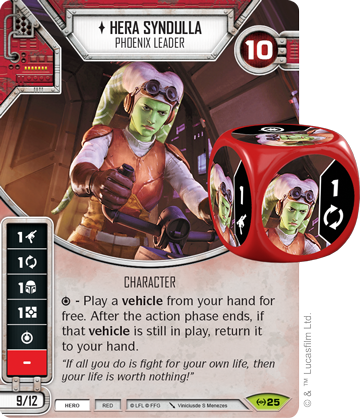 Nine vehicles is a good number for the deck; you want enough for Hera’s special ability without drawing too many and having them clog your hand each round. They have a wide range of costs in order to play some of them normally just in case Hera doesn’t resolve her special. 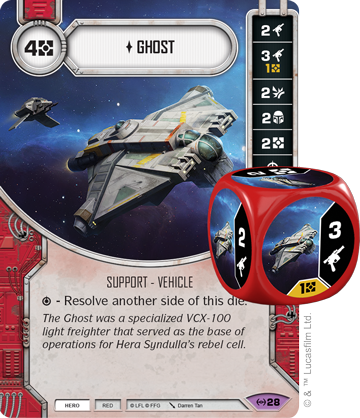 It’s thematically fitting to play Hera’s ship, Ghost (Empire at War, 28), for free with her and it can’t be discarded by Reckless Reentry (Empire at War, 93) because its fantastic die doesn’t have a blank. 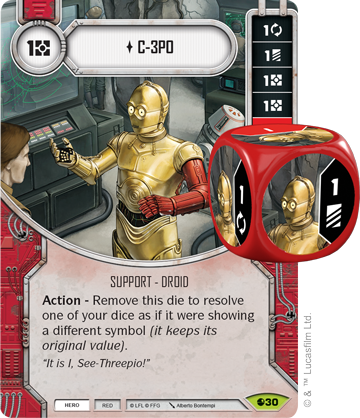 C-3PO (Spirit of Rebellion, 30) can do wonders in this deck; his action lets you resolve one of your dice as if it were showing a different symbol of your choice. Since special symbols have a value of 0, you can always use C-3PO to resolve Hera’s die as a special no matter what you rolled with her. If you roll a blank with Hera, just use the handy droid to resolve it as a special to play that big vehicle for free! 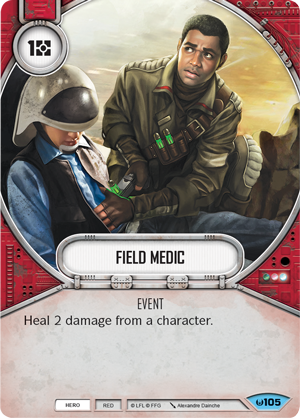 You can also use him to resolve other powerful special abilities in your deck, like the ones on U-Wing (Spirit of Rebellion, 31) and Y-Wing ( Empire at War, 29). Once you have one or more vehicles in play, you'll want to take advantage of them. 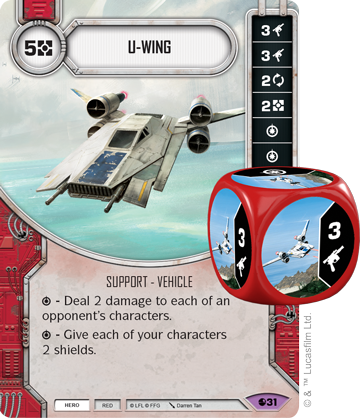 Several strong cards reward you for getting those cool vehicles into play. 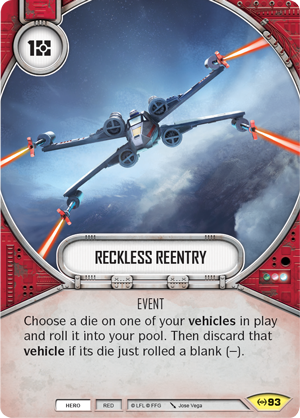 Strategic Planning (Awakenings, 111) and Reckless Reentry can get multiple uses out of their dice and, if Hera played one for free, Recycle (Empire at War, 149) will turn it into resources before it flies away at the end of the action phase. Using Recycle on a vehicle brought into play through Hera lets you convert that temporary burst of power into a permanent advantage by salvaging that vehicle for a bunch of resources. 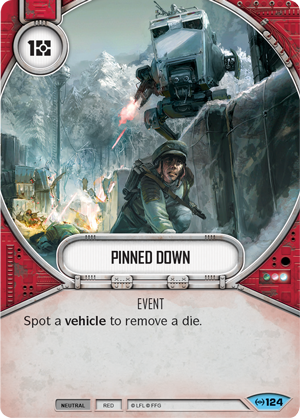 Those vehicles also meet the spotting requirement for Pinned Down ( Empire at War, 124), an efficient die removal card, and timely removal of your opponent’s best dice can often lead you to victory. More dice removal, healing, and a couple resource generating cards round out the deck. FFG: What battlefield did you choose and why? JZ: I chose Weapons Factory Alpha (Empire at War, 160) because it’s an asymmetrical battlefield that often benefits me and usually does nothing for my opponent. Having three characters and activating many supports makes it difficult for this deck to claim the battlefield every turn, so I wanted a battlefield that my opponent will get little to no use out of. 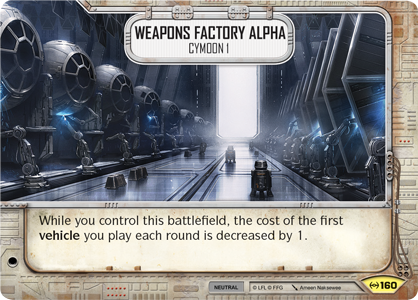 Unlike most battlefields, Weapons Factory Alpha has a “while you control this battlefield” ability that makes it useful on the first turn of the game without having to claim it. 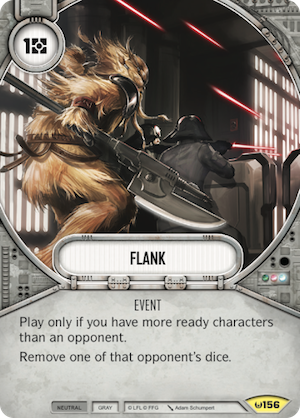 FFG: What are the deck’s main strengths and weaknesses? JZ: The main strength of the deck is playing powerful vehicles quickly and using their impressive dice to overwhelm your opponents. Defeating an opponent’s character on the first or second turn is definitely possible and can lead to an advantage that is difficult for opponents to come back from. Controlling Hera, either through dice removal or defeating her, is the deck’s biggest weakness. 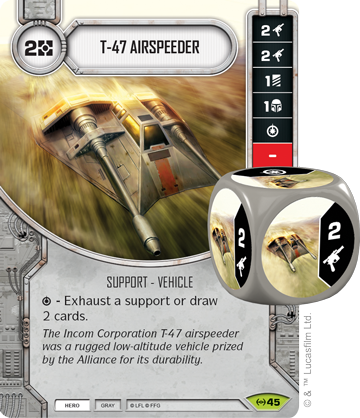 Playing multiple vehicles at full cost is difficult to do and without them the deck lacks the punch to close out games. 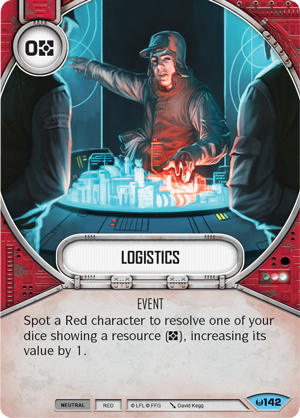 FFG: What does Empire at War bring to this type of deck that hasn’t been seen before? JZ: Up until Empire at War, decks built around playing supports (especially ones with high resource costs) haven’t been one of the most competitive strategies. 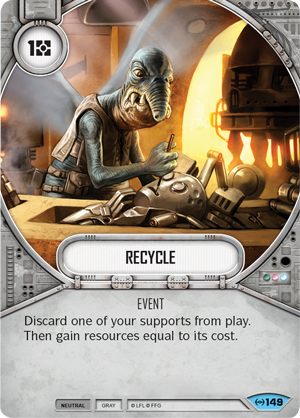 Several cards from Empire at War, such as Hera, Reckless Reentry, and Pinned Down, will be a boon to those decks and make them stronger and more consistent. 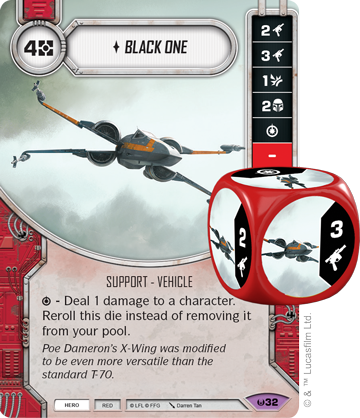 FFG: What do you find fun about the deck? JZ: Playing big supports is fun! 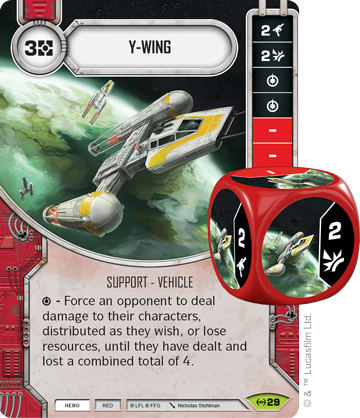 This deck can have amazing first turns: I recently played a game where Hera flew a U-Wing in for free, I activated it to deal two damage to each of my opponent’s characters, then used Reckless Reentry on it to give two shields to each of my characters. Recycle scrapped it for five resources which were then used to play Ghost. It was quite the first turn thanks to good rolls and no disruption from my opponent, but the deck can be very rewarding. For venturing deck builders, I suggest adding Yellow to this deck to give it more options and synergy. I’ll leave that challenge up to you! With powerful vehicles at their disposal, Red heroes have plenty of new tricks in Empire at War. Overwhelm your opponent with powerful supports and claim victory over your foes! Prepare for battle and purchase Empire at War (SWD07) from your local retailer in the third quarter of 2017.